Kitchens evolve throughout the years more than any other part of a home. While function maintains precedence in kitchens, design is quickly moving up on the importance scale. Beautiful, sprawling kitchens which effortlessly show off a homeowner’s personality are a key goal in designers’ minds. 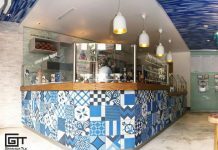 One of the ways we’ve seen it done is through the creative use of tile. Functionality can meet beauty with the use of carefully chosen tile in a kitchen renovation – and the Minis Collection is a great choice to merge the two with their innate fresh designs. Most kitchens tend to lean one of two ways: modern or traditional. Modern perspective works well with blocked colors, sharp lines, and stunning patterns. If you’re seeking a modern kitchen, you most likely veer towards basic colors that don’t crowd out the design elements. 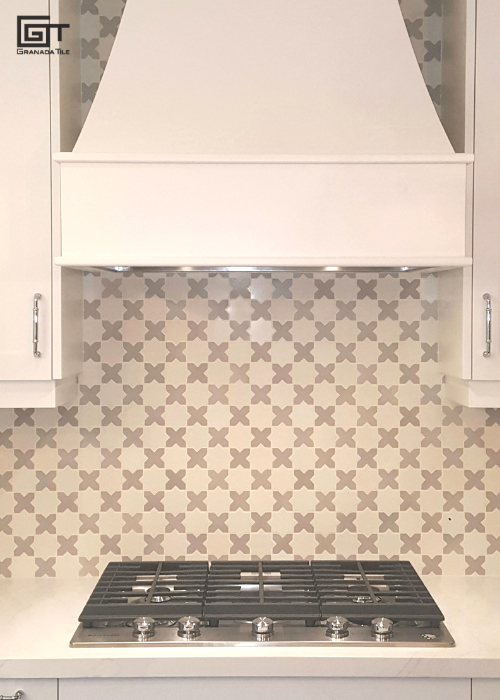 Geometric patterns work best for flooring and backsplash accents in modern kitchens, as they play off of the sharp lines and are often associated with modernity. Consider something like the white and grey Geometric Minis Collection, which offers a softer color palette while remaining neutral. Want something bolder? Choices include the ZigZag, as it showcases its stunning linework in any color you wish. Traditional kitchens often tend to be softer, slightly more feminine, and embrace curves over edges. They may factor in softer colors, such as the beautiful light aqua the Natural Minis is shown in. 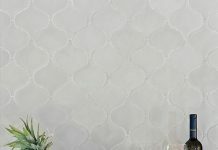 Designers and homeowners alike tend to favor swooping lines which flow seamlessly in the ‘traditional’ kitchen and opt for a scalloped or rounded tile to soften the room’s overall tone. Our Scale tiles from the Minis Collection installed in a Costa Rican home. 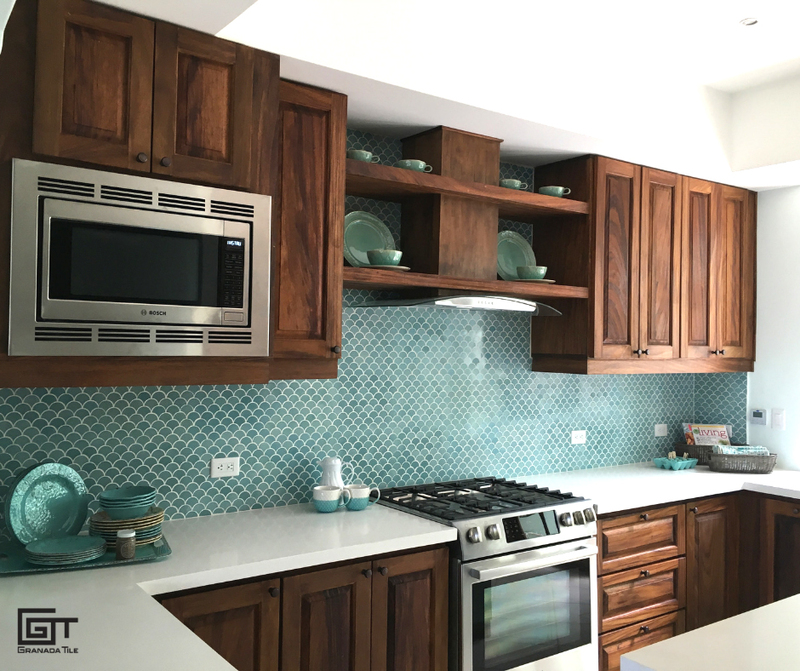 When choosing a look for a kitchen remodel, a tile design that works with the individual’s taste is crucial. If a scalloped look doesn’t work for the overall look or theme, getting creative with a sweeping wave pattern may be a better option. One of the most significant aspects of tile design is you being able to put your personal spin on things. Appliances remain more or less the same aesthetically, but customizing your backsplash, flooring, or even countertops can change the entire kitchen design effortlessly. Small kitchens especially benefit from creative tile design! 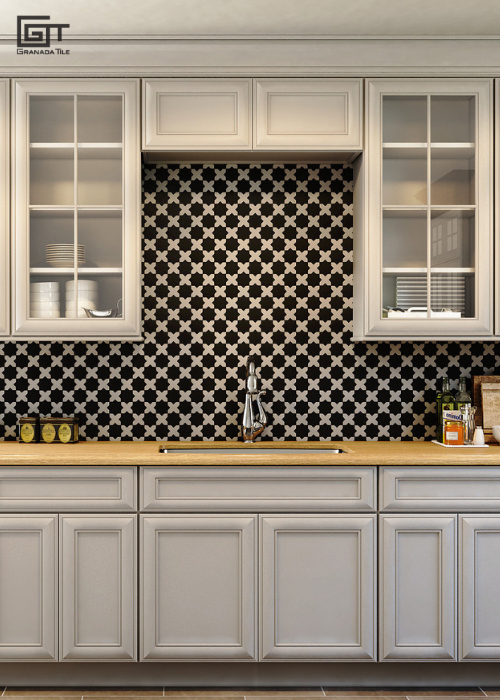 Introducing small, patterned tiles within a kitchen opens the space up and highlights its natural design elements. For larger kitchens, they can make them feel high end without breaking the bank. A good tile is one which tells its own story, and the Minis Collection weaves a tale with each line. Choosing the tile which works for you might seem hard, but it doesn’t have to be! 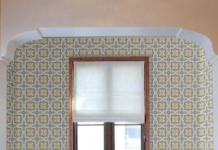 The tiles from our Minis Collection can be done in any of the 40 standard colors. Experiment with different combinations of colors now or contact us today at (213) 788-4238 or email sales@GranadaTile.com to find out more!